The way some people tell history, India’s pre-liberalisation days were a wasted period. 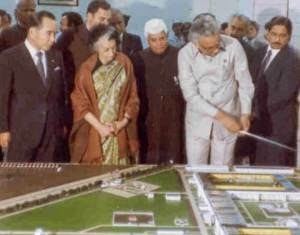 If only India had embraced capitalism and the private sector back in the 1950s or 1960s, India would have been like South Korea today – India and South Korea had roughly the same GDP per capita in the early 1960s, but today India’s GDP per capita is around $1,500 while that of South Korea is more than $23,000! Different countries choose different models of growth. Productivity and wealth creation is the outcome of organization, and countries have made their own choices as to which organizations should champion growth. While South Korea chose what are now known as the chaebol, India chose the public sector. Critics of India’s poor economic growth till the 1980s tend to blame India’s policy-makers for this choice. But was this ownership choice to blame? Is it possible that we could have done much better even with the public sector? Could the Public Sector have done better? Reading At the Helm (HarperCollins, 2014), the memoirs of V. Krishnamurthy, the answer would appear to be a fairly resounding yes. Krishnamurthy started his career as an employee of the state electricity board, moved on to the Planning Commission (yes, the same Planning Commission that is in limbo today! ), and then worked with three government-owned companies. He built up the fortunes of Bharat Heavy Electricals Limited (BHEL), turned around the Steel Authority of India Limited (SAIL) and created Maruti from scratch. Apart from these, he worked with the government as Secretary, Ministry of Heavy Industry, in the late 1970s, and more recently as Chair of the National Manufacturing Competitiveness Council. Those who are uncharitable to Krishnamurthy attribute his success to his proximity to the Nehru-Gandhi family. But what this book suggests that is that he had no inherent link to the family; rather, he came close to them thanks to his effective performance as a public sector manager. When Indira Gandhi wanted to convert the pet automobile project of her son Sanjay into reality, she turned to a manager who could make it happen – Krishnamurthy. Again, when Rajiv Gandhi was strongly criticized for being anti-public sector, he chose Krishnamurthy to run SAIL to demonstrate his commitment to public enterprise. Clearly, there was something they saw in Krishnamurthy that persuaded them to repose their faith in him. As Krishnamurthy tells the story, it becomes apparent that he understood three basics of a manufacturing industry pretty early on – productivity, quality and customer focus. As the General Manager of BHEL’s Trichy factory, he ensured that the plant graduated to bigger and more sophisticated boilers in which BHEL would have an edge rather than small boilers where BHEL’s overheads were likely to make the company uncompetitive. He created a network of ancillary small units who could do the relatively lower added value work at much lower costs so that the BHEL system as a whole remained competitive. He reached out to BHEL’s customers – state electricity boards – at a time when, as a monopoly, BHEL had no need to do so. Krishnamurthy invested in a quality department and brought in an experienced quality professional at BHEL almost two decades before the rest of Indian industry recognized its importance. 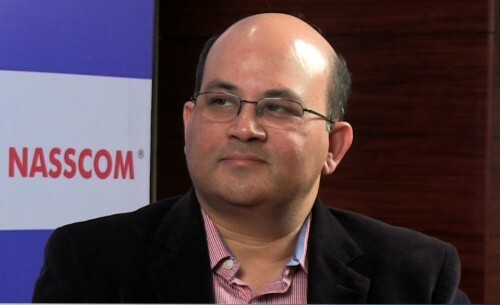 There is clear evidence that his commitment to quality was enduring – some years ago when I interviewed CII’s quality czarina Sarita Nagpal, she explained to me how Krishnamurthy had led CII’s first quality initiative from the front and was responsible for persuading the industry body to take on the pursuit of quality as a national movement. One thing that resonated strongly with me was his emphasis on preserving human dignity. This memoir suggests an abiding faith in human potential. A common feature of Krishnamurthy’s management style across organizations was a strong investment in training and human development. But he seems to have been able to mix this positive orientation with a firmness to avoid compromise on core issues like productivity and discipline on the shopfloor. I can’t help wondering whether Krishnamurthy’s success was also helped by the fact that he worked in simpler times. Early in the book, he describes a situation where a DMK-led union was making unreasonable demands, but he managed to convince DMK chief Karunanidhi that he was taking good care of the workers and that they should withdraw their demands. Somehow, I don’t see a contemporary politician giving in so easily, however justified the manager’s arguments! 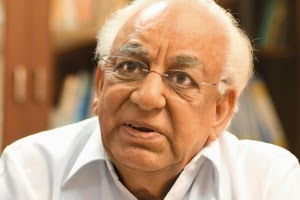 Krishnamurthy spent a good part of his time with the UPA 1 and UPA 2 governments at the helm of the National Manufacturing Competitiveness Council (NMCC). While NMCC has produced some good reports, and piloted some useful schemes to enhance manufacturing competitiveness, its impact has been limited. Many of its recommendations were ignored or diluted because they contained anachronistic, protectionist measures. One of the NMCC’s interest areas was innovation, and I tried to engage with them on this subject, but was not successful. 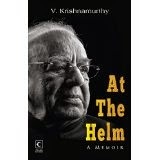 After reading Krishnamurthy’s book, I now know one possible reason for this – he mentions how his efforts to get one of the IIMs to work collaboratively with him in one of his corporate assignments did not succeed because the faculty refused to work with each other. Clearly, this shaped a rather dim view of the IIMs in his mind. If I have one criticism of Krishnamurthy, it’s that he could have done more to build a strong R&D culture and capabilities in the organisations he led. While he advocated use of the latest technology right from his BHEL days (he played a key role in helping BHEL move away from dependence on out-dated Czech technology) and set up corporate R&D at BHEL, invariably critical technologies were sourced from elsewhere. Rarely does he seem to have focused on the in-house development of genuine and deep technological capabilities. Given his track record, stature and influence, it appears that he could have done more for the development of such technological capabilities in India in general, and in the public sector in particular. But then, given his contributions in other areas, perhaps it is churlish to ask for more! Overall, I enjoyed reading this book for it gives a firsthand perspective of an important period in the development of India’s industrial capabilities. It shows that the public sector is capable of delivering results if it is allowed to function under capable and professional management. And, it gives insights into the leadership style and practices of arguably India’s most successful public sector manager.